Pierre Van Cortlandt Jr. (August 29, 1762 – July 13, 1848) was a United States Representative from New York. A member of New York's Van Cortlandt family, he was the son of Pierre Van Cortlandt, an early New York political figure, and brother of Philip Van Cortlandt, who was also a U.S. Representative from New York. 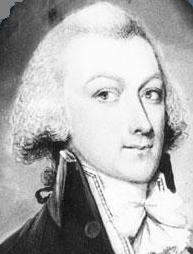 Pierre Van Cortlandt, Jr. was born on August 29, 1762 at Van Cortlandt Manor in Croton, Westchester County. His parents were Pierre Van Cortlandt (1725–1819) and Joanna Livingston (1722–1808), daughter of Gilbert Livingston, a son of colonial official Robert Livingston the Elder. His great-grandfather was Stephanus Van Cortlandt, the first native-born Mayor of New York City, and his family were the patroons of Van Cortlandt Manor. He pursued classical studies and was graduated from Queen's College (later Rutgers College) in 1783. He studied law in the office of Alexander Hamilton and was admitted to the bar and commenced practice. He retired from his law practice and devoted his time managing his estate in Westchester County. He founded and was president of the Westchester County Bank at Peekskill from 1833 until his death there in 1848. In August 1776, at the foot of Anthony's Nose, Fort Independence was built on his father's land, on the north bank of the Annsville Creek as it empties into the Hudson River. It combined with Forts Montgomery and Clinton to defend the Hudson River Valley. Forts Montgomery and Clinton were started in June. In the mid-19th century, he built Fort Independence Hotel below the site where Fort Independence once stood. Fort Independence had been built in August 1776, at the foot of Anthony's Nose, on the family's land on the north bank of the Annsville Creek as it empties into the Hudson River. It combined with Forts Montgomery and Clinton to defend the Hudson River Valley. Forts Montgomery and Clinton were started in June. :18 Fort Hill Park, the site of Camp Peekskill, contained five barracks and two redoubts. On the opposite side of Annsville Creek [north of Peekskill] at the point known as Roa or Roay and formerly Roya Hook, stood the old Revolutionary Fort Independence. In 1846 and for about three years subsequently some of the larger boats used to stop at this point. A large hotel had been built there about the same time by Pierre Van Cortlandt, known as the Fort Independence Hotel, and access to the village was furnished in 1845 by a wooden bridge across the mouth of the creek, fourteen hundred and ninety-six feet long. The bridge has long since rotted and been carried away. In 1792, 1794 and 1795, Van Cortlandt was a member of the New York State Assembly, and was elected as a Democratic-Republican to the Twelfth United States Congress, holding office from March 4, 1811 to March 3, 1813. He was a presidential elector on the Harrison ticket in 1840. Van Cortlandt married Catherine Clinton (1770–1811), daughter of eventual Vice President of the United States George Clinton (1739–1812), and former wife of John Taylor. They resided at Van Cortlandt Upper Manor House and the family home known as Oldstone, 28 Bear Mountain Bridge Road, Cortlandt Manor, New York, from approximately 1783 until his death. Interment was in Hillside Cemetery. His grandchildren included Catherine Theresa Romeyn Van Cortlandt (1838–1921), Romeyn Beekman Van Cortlandt (1843–1843), James Stevenson Van Cortlandt (1844–1917), Theoderick Romeyn Van Cortlandt (1845–1880), and Philip Van Cortlandt (1857–1858). ^ a b c d "VAN CORTLANDT, Pierre, Jr. - Biographical Information". bioguide.congress.gov. Biographical Directory of the United States Congress. Retrieved 15 March 2017. ^ Schuyler, John (1886). Institution of the Society of the Cincinnati 1783. New York: New York State Society of the Cincinnati. p. 319. Retrieved 13 July 2016. ^ a b "History and Events in Peekskill | Peekskill History Summary". The Peekskill Museum. 1940-07-29. Retrieved 2016-01-08. ^ "Peekskill officials dot historic mountain with plaques" (PDF). Hudsonrivervalley.org. Retrieved 2016-01-08. ^ Scharf, John Thomas (1886). History of Westchester County, New York, Including Morrisania, Kings bridge and West Farms Vol II. Philadelphia: L. E. Preston. pp. 382, 406. Retrieved 11 August 2015. ^ a b c d Judd, Jacob (1776). The Van Cortlandt Family Papers. Sleepy Hollow Restorations. ISBN 9780912882277. Retrieved 15 March 2017. ^ Austin N. O'Brien (January 1981). "National Register of Historic Places Registration: Van Cortlandt Upper Manor House". New York State Office of Parks, Recreation and Historic Preservation. Retrieved 2011-01-01. ^ NY, Village of Croton-On-Hudson,. "Village of Croton-On-Hudson, NY - Van Cortlandt Manor". www.crotononhudson-ny.gov. Retrieved 15 March 2017. ^ "Those who owned the Van Cortlandt Manor House The Main Line of Inheritors" (PDF). crotononhudson-ny.gov. Retrieved 15 March 2017. United States Congress. "Pierre Van Cortlandt Jr. (id: V000023)". Biographical Directory of the United States Congress.